Another internet package offers that you can avail if you're a prepaid Talk N Text prepaid subscribers is the new Panalo Data promo. With your 30 pesos, you can now browse to the internet and access your favorite social media sites and app for 2 days. The TNT PDATA30 only gives you 500MB consumable data for 2 days that you can use to access all websites and apps. Aside from that, it also include frees Facebook and FB messenger access for up to 200MB per day. Yes it is only limited and will renew after 12 midnight, so you can enjoy another 200MB on the second day. This is best for light data users and Facebook lovers who knows how to control their usage. You can subscribe this promo via SMS text. 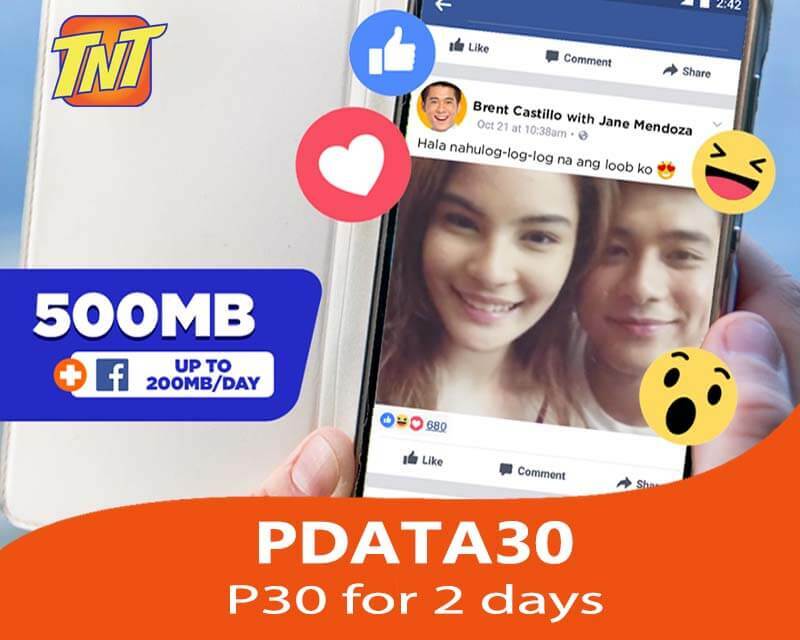 All you need to do is reload your TNT prepaid SIM card or account with 30 pesos and your good to register with PDATA 30 data bundle. 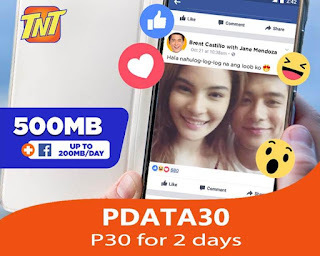 Also available in PDATA60, if you want to extend the validity up to 5 days, you can subscribe to Panalo data 60 with 1GB of data plus unlimited texts to all networks. How to use Facebook and Messenger? Just turn on your mobile data and open the app to start using the internet. Make sure you disable the auto-update on your phone apps to avoid unwanted data consumption. What you can do with 500MB in PDATA 30? Do note that the above estimated computation may vary by device. You have the control to monitor your data usage based on your actual activity. You can also register PANALO DATA 30 - Online if you have active internet connection on your phone.